Christmas is a high season for businesses across the world and most of them go out of their way to woo customers on the holiday. While most brands offer attractive discounts, bring out special advertising, pamper their employees, and roll out numerous other activities to engage with their potential customers, Uber has taken the Christmas game a notch “higher”. Uber has entered into another strategic alliance with Droom, an online marketplace for automobiles for the festive period to bring on-demand chopper rides to Indian consumers. It has partnered with Droom previously during an activation for Father’s day. 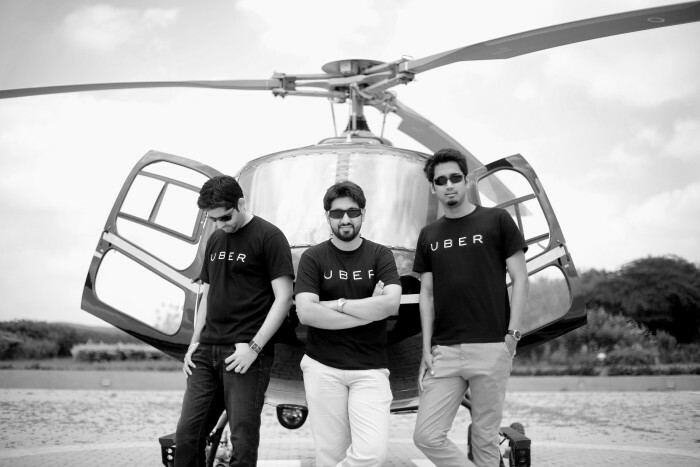 On December 25th, Uber will offer 25 minute chopper rides to consumers in Bangalore, New Delhi, Pune and Mumbai. Uber has been promoting the Christmas special across social media and has been sending an SMS to the customers too. Uber is no stranger to innovative on-ground activation ideas for branding and engagement. Other than the chopper rides, Uber has also been spreading some Christmas cheer, in partnership with local service provider UrbanClap and Online Shopping App Grofers, to visit and give out gifts at offices across India. In fact on April Fool’s this year, Uber had started a prank about starting UberAir, little realising that it would materialise 7 months later on Christmas. Meanwhile, Uber’s biggest rival, Ola has also been doing its Christmas bit by sending Plum cakes to customers taking a ride on Christmas Eve and Christmas Day. As far as offbeat marketing is concerned, Uber has its A game on.